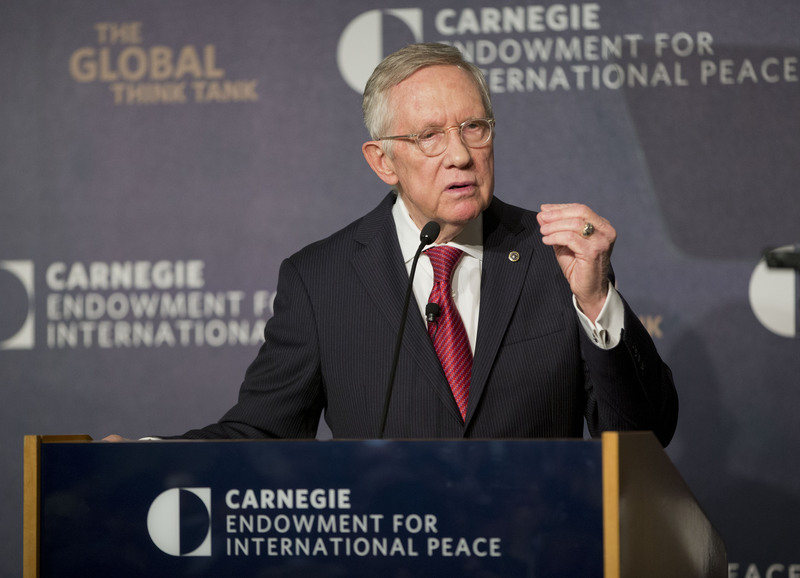 In his last few months in the Senate, Minority Leader Harry Reid, D-Nevada, isn’t pulling any punches -- especially after the recent revelations by FBI Director James Comey that more emails were found that could be related to the Clinton email probe. The pugilistic Reid, who plans to retire after finishing out this term in Congress, penned a blistering letter to Comey Sunday, accusing the FBI chief of holding back “explosive” information about Donald Trump’s close Russian ties while possibly violating the Hatch Act by reviving the Clinton email investigation. The Nevada Democrat went on to insinuate Comey’s violation of the Hatch Act, which prohibits “activity directed towards the success or failure” of a candidate by executive branch employees. Reid contrasted that with Comey’s approach to his public handling of emails from a computer used by top Clinton aide Huma Abedin and her estranged husband Anthony Weiner, which could be related to the Clinton email probe. “Your rushed to take this step eleven days before a presidential election, despite the fact that for all you know, the information you possess could be entirely duplicative of the information you already examined which exonerated Secretary Clinton,” he said. For the agency’s part, the FBI believed that because of the increased scrutiny over the Clinton probe, Comey’s options were limited in alerting Congress. Comey had previously pledged to inform the legislative body of any further developments in the case, even after the investigation was completed. The FBI director has taken heat from his own department because of his unprecedented comments about an ongoing investigation, with his superior, Attorney General Loretta Lynch, recommending against his actions to notify Congress.